2 New Classes You Won’t Want to Miss! In our continued effort to offer you the best selection, we’re unveiling 2 new class offerings. Don’t miss these new opportunities to learn! We’re teaming up with Urban Growler Brewing Company in St. Paul for a one-of-a-kind learning experience. 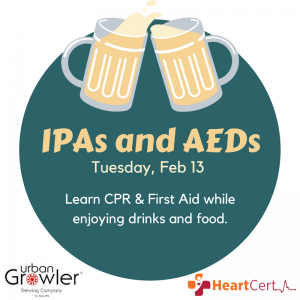 Learn how to save a life while enjoying a cold beer and tasty food.This event is open to the public. Registration will include a free pint of beer and access to a food special offered by Urban Growler. 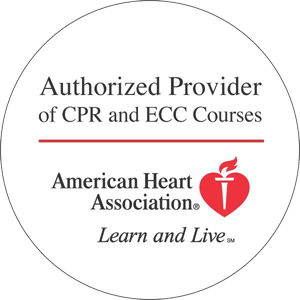 At the end of the course, you’ll be CPR and/or First Aid certified through the American Heart Association. New to our Duluth location, we’ll be offering special courses of our Advanced Cardiac Life Support (ACLS) Blended Certification courses in February and March. This is the first time we’ve been able to offer this class at our Duluth location! Chose the month that works best for you. We also partner with Duluth, Mankato, Rochester, Appleton and Anchorage for select classes.